Disclaimer: This Ultrasone Edition 11 sample sent to us is a purchased unit. We thank the team at Ultrasone for giving us this opportunity. 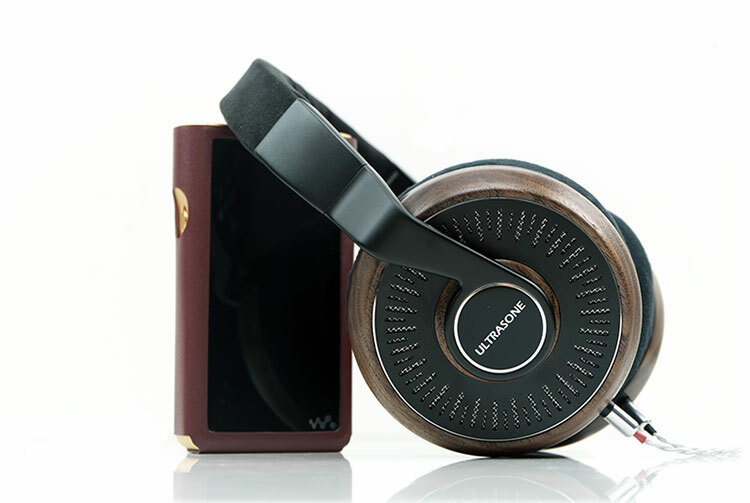 To read more about Ultrasone products we reviewed on Headfonics click here. 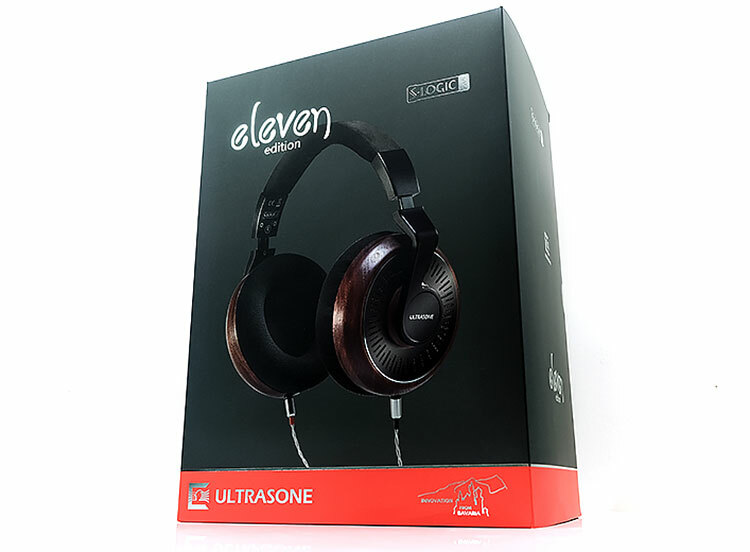 The last Ultrasone I had was an Edition 8 way back in 2011 or 2012 so it has been some time since I tried Ultrasone headphones and even then not under review conditions. Since then there have been quite a few new “Edition” models with this one, the Edition 11 actually being a limited edition launch. So, the story behind the Edition 11 is a bit of new and a continuation of their existing. 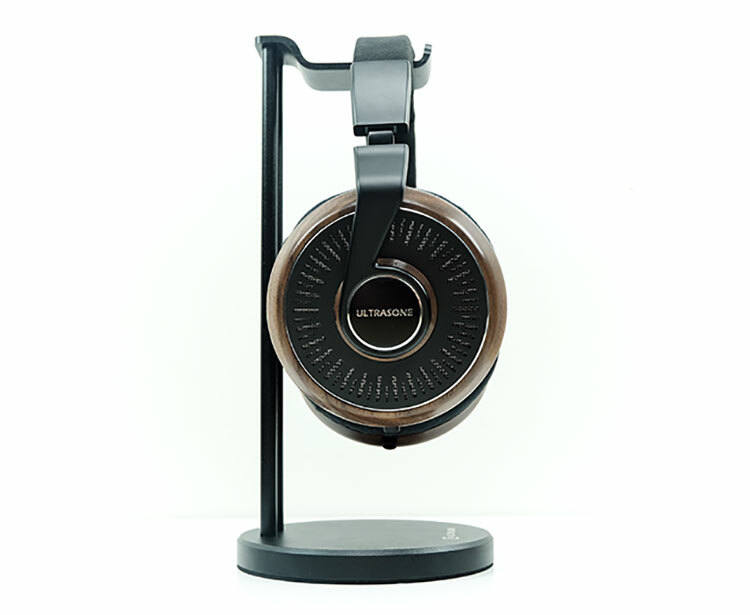 Most notable is the pitch that these are handmade in Gut Raucherberg near Lake Starnberg in Germany and the second of which is the use of their S-Logic® Plus technology which has been a feature in many of their headphones, particularly the Edition Series. There are only 1,111 units of Edition 11 being made so it is limited in quantity and once it is gone, it is gone. I do not believe they will continue the run beyond the 1,111 units. Pricing is not super-high by Ultrasone standards at €999. 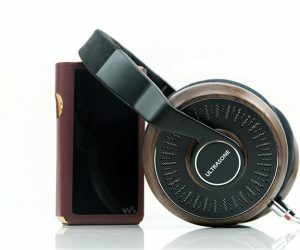 Edition series headphone pricing can go as high as €2,499 for the Edition 15 and all the way down to €89 for the on-ear HiFi 15G so it is somewhere in the middle of their product line-up. 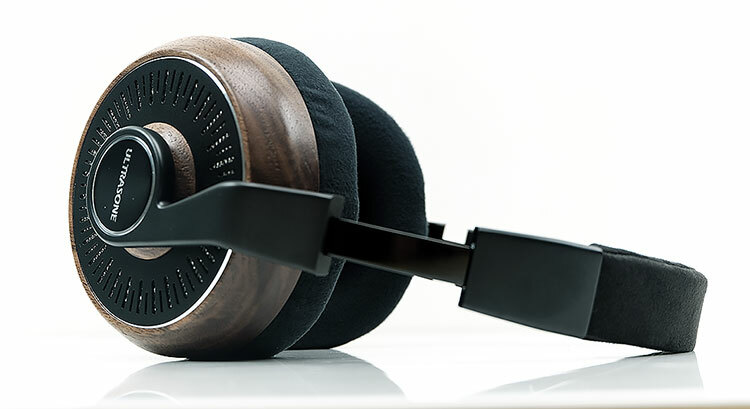 S-Logic® technology is basically the decentralized positioning of the drivers in their headphone designs (bottom and front) to create an enhanced spatial characteristic in the sound signature. We have touched on similar concepts with the Crosswind CZ-1 though the application is slightly different in their case. The concept is to, as far as possible, recreate the feeling of listening to speakers with a sound that is more out of your head and around your ears than a traditional left/right headphone presentation. 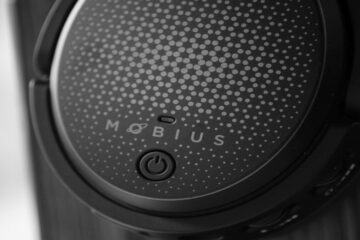 There are lateral claims that it also reduces the sound pressure directly into your ear from the decentralized positioning by up to 3-4dB thus reducing the potential damage to your hearing at loud volumes. Note, Edition 11 uses S-Logic® Plus technology which is an enhanced version of the original tech. The Plus version is tuned for a more neutral tuning than before and a more vivid perception of voices and instruments. This is a big box and a well-organized one at that. It needs to be because there is a lot of stuff packed inside and not just the headphones. It is almost the same size as the old HD800 box though not quite as exotically packed as the Final D8000 or the AKG K812 unboxing experience. 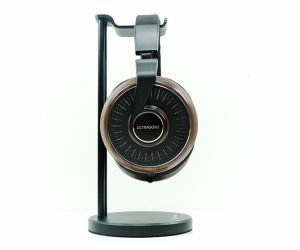 The headphone stand looks beautiful, seems well build and pretty easy to assemble in around 2-3 mins. The carry pouch is very nicely finished and made of P-leather. I found I could hang the Edition 11 on the stand and then slide the pouch over them both to create a dust cover when not in use. The cable took me by surprise. This is terminated like any quality IEM cable only the length, at 3m is a bit longer. 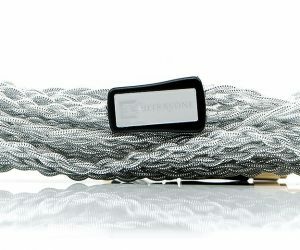 It is not that much bulkier than a 2-pin IEM cable though and since it is 4-core there is room to upgrade to 8 wire and higher AWG grade wires. I am not entirely sure on the exact wire used as the jacket has a silvery coating. A wild guess is SPC on initial impressions. We will be cable rolling for sure in the main review just to see what how good the stock cable really is. 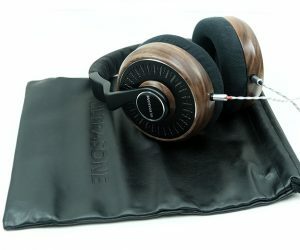 Ultrasone have always made some beautiful looking headphones and the Edition 11 is no exception. 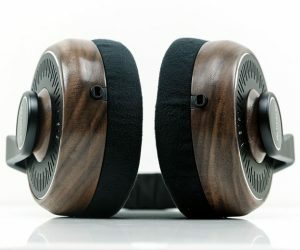 This is a stunning mix of walnut wood and matte black finished aluminum topped off with an Alcantara wrapped headband and micro-velour pads. It screams premium at every angle especially with the aggressive metal grillwork on the front of each of the cups. 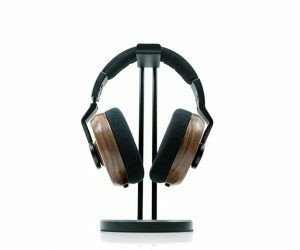 This is an open-back headphone and despite its somewhat diminutive appearance, it is actually a circumaural headphone so there is plenty of space to gove over your ears. 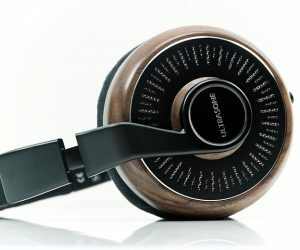 It also weighs in at 319g which is marginally on the heavy side for a dynamic driver headphone of this size. It does feel durable though and this is no veneer wood application I can assure you. 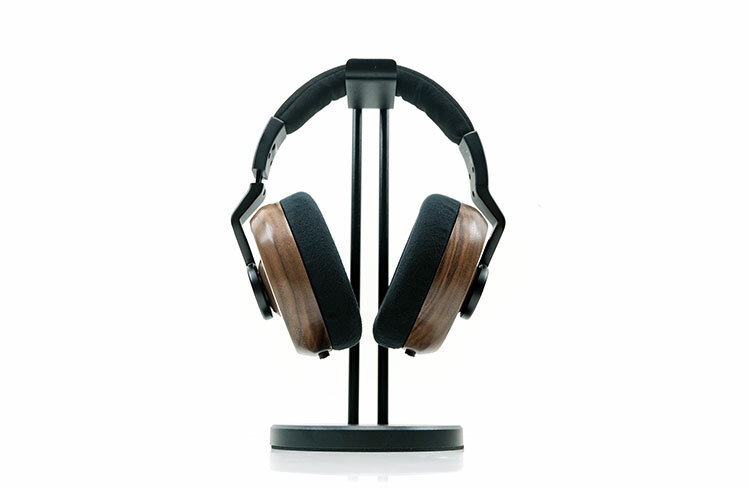 My initial impressions of the Edition 11 on my head is off a fairly strong clamp though offset by the plush comfort of those micro-velour pads. Pressure is more side to side than the top of the head but the balance overall is ok if a little stiff in application. 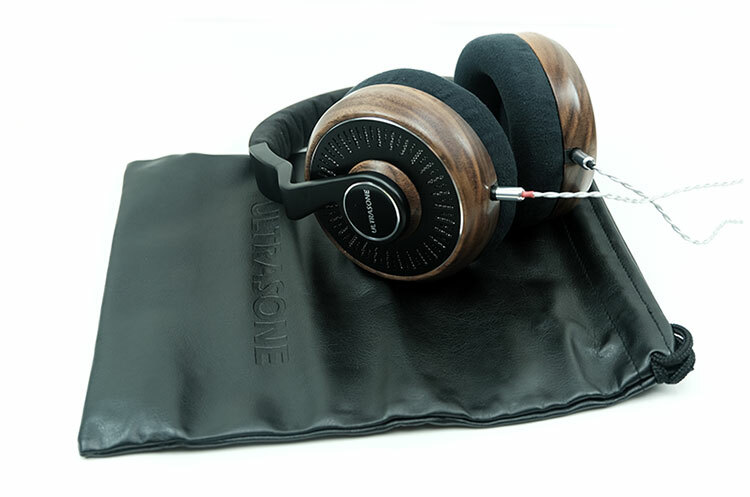 The ear pads are detachable, you can get replacements directly from Ultrasone though at €139 they are not cheap. I would not look for leather pads either. Something tells me prolonged used with leather might make the noggin’ a little sweaty. There is also plenty of adjustment on the headband. I have no issues getting a good fit with the Edition 11. Well, I am very surprised with my initial impression of the Edition 11 presentation and in a good way. I was sort of preparing myself for a lot of treble splashiness but in truth, this is far more reserved and quite natural sounding with only a hint of hardness on some vocal leading edges and percussion work but miles away from being harsh or fatiguing. The Edition 11 is also wonderfully open sounding also with a nice sense of balance throughout. You get a gentle mid-bass rise, not too much sub-bass presence, perhaps a slight roll off but enough warmth to put some meat on the bones of that instrumental timbre. Mids from 1-4k are boosted which jives with Ultrasone’s contention that the Edition 11 is tuned for a vivid vocal delivery. There is a slight rise around 7-8k which might explain some of that odd-harmonic overtone in the upper mids and percussion timbre but otherwise a fairly neutral top-end with more than enough headroom and air. The Edition 11 is rated at 32Ω so DAPs and portable amps should work well in theory. I understand Ultrasone class this as a “home listening” experience and being an open-back design it is going to be best enjoyed in quiet indoors environments. Does that mean desktop as opposed to portable devices? I do not think so at this early stage. The SPL at 94dB does mean plenty of current is going to be needed in any source or amp you use. 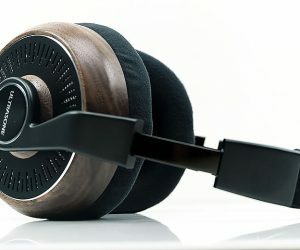 This is not an efficient headphone but does not need huge amounts of power to sound optimal. Our early testing has the Sony 1Z unbalanced up to around 105 in low gain and light green on the Chord Hugo 2 with 16BIT 44.1k FLAC tracks. I will be interested to see how the Edition 11 reacts to some different flavors of tubes and solid state as well as other DAPs in our main review. I am not sure if there is huge scaling potential at 32Ω though. 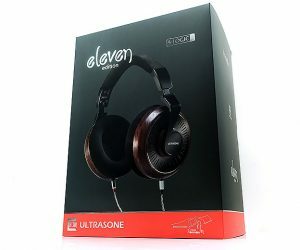 The Edition 11 is a beautiful looking headphone but more than that it has a tuning that I think a lot of people might want to hear, especially those who have never considered Ultrasone before. The price point is tempting also. I have had a few dynamic driver woodies last year at this price point including Erzitech’s Mania and Kennerton’s Vali but this one may yet push those 2 in the shade. At 32Ω and being an open-back for home listening does demand more exploration and testing in our main review because I think it does work fine from portable sources. The only issue is that has no isolation whatsoever so not a commute friendly headphone. Also cable-rolling with that 2-pin termination. That could well be the most fun part of the main review!